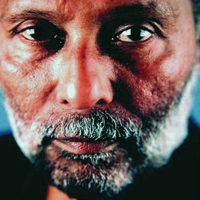 Stuart Hall was born and raised in Jamaica and arrived in Britain on a Rhodes scholarship to Oxford in 1950. In 1958, he left his PhD on Henry James to found the New Left Review, which did much to open a debate about immigration and the politics of identity. Along with Raymond Williams and Richard Hoggart he established the first Cultural Studies programme at a British university in Birmingham in 1964, bringing the study of popular culture into the understanding of political and social change. After spending more than four decades as one of the UK’s leading public intellectuals, Hall retired from formal academic life in 1997 and since then has continued to devote himself to questions of representation, creativity and difference. He became the chair of two foundations, Iniva, the Institute of International Visual Arts, and Autograph ABP, which seeks to promote photographers from culturally diverse backgrounds, and championed the opening of Iniva’s new Rivington Place arts complex in east London in 2007.